Authorities in the fields of European and global politics and economics, representatives of Polish ministries and the business milieu, managers of the largest Polish companies - the group of speakers for the tenth anniversary edition of the European Economic Congress has just been joined by important new experts and practitioners. The debates planned between the 14th and 16th May 2018 will focus on such topics as growth and competitiveness prospects, the technological revolution with its present and future outcomes, environmental responsibility and economic cooperation on the free market - all examined in local and global contexts. "There is huge interest in this year's Congress, the tenth anniversary edition is already on its way to breaking records. We are in for a treat with more than 150 sessions and speeches delivered by over 900 speakers. The number of registered participants is expected to be even higher than last year, we're also happy about the intense pre-congress media activity. It should be stressed that never in the history of the Congress have we had such outstanding guests from abroad", says Wojciech Kuśpik, President of the PTWP Group, the main driving force behind the European Economic Congress. Katowice will host Justin Yifu Lin, one of the most famous and most-widely quoted Chinese economists, a global economy influencer. Senior Vice President of the World Bank in the years 2008-2012, he was the first scholar from the so-called developing countries to hold such a prominent position. Lin is the author of both academic and popular works on the Chinese economy, global financial crisis and economic transformations in the modern world. He's mainly associated with such fields and disciplines as the architecture of financial markets and fiscal systems, directions in the modernization of entrepreneurship, economics and agriculture, urban and rural life, and - first and foremost - with the concept of New Structural Economics (NSE), a doctrine rethinking liberal perception of the role of the state in economy. The foreword to a collection of scholarly articles on this topic, edited by Yifu Lin and Prof. Alojzy Nowak from the University of Warsaw ("New Structural Economics for Less Advanced Countries") was written by Prime Minister Mateusz Morawiecki, for whom the NSE development strategy is the theoretical foundation. From the foreword - Poland is facing new challenges. The New Structural Economics and the strategy for responsible development are the answer. Joseph BenAmram, President of MSD International GmbH, overseeing company operations in more than a hundred countries - Europe, Russia, Africa and the Middle East, will be another representative of international, large-scale business attending the Conference. MSD (the name under which Merck operates outside the US and Canada) is known not only for the massive scale of its operations (it employs 68 thousand employees worldwide) but also for the type of business it's involved in - in addition to producing pharmaceuticals, the company conducts scientific research on innovative medications in a number of key areas (cardiovascular diseases, oncology, infectious diseases), as well as biotechnological research. The topic of biotechnology as an opportunity for development, including for the growth of the Polish economy, will be the focus of one of the sessions held as part of the Congress. The topics of energy security, the relation between energy production and environmental policy, as well as the technological transformation of the energy sector have been present in all editions of the EEC held so far. Among debate participants there will also be a guest from Lithuania (a major energy partner of Poland) - Žygimantas Vaičiūnas, Minister of Energy and Andris Piebalgs, a Latvian politician and EU Commissioner for Energy in the years 2004-2010 (and EU Commissioner of Development in the following four years). This will not be the first Congress for Piebalgs. In the past, he has presented himself as, among others, a proponent of the development of infrastructure for the common European energy market and introduction of energy solidarity in the European Union. The congress will also be attended by Diego Pavía, a specialist and authority in the field of energy and President of InnoEnergy, a European company promoting innovation in the area of sustainable energy. His earliest professional experiences (1988) were connected to Knowledge Engineering, a start-up involved in industrial control systems based on Artificial Intelligence and neural networks. InnoEnergy is dedicated to providing actors with innovative sustainable energy solutions, flexible and tailored sources of funding to help them grow, succeed and build a future based on clean energy. The support provided by InnoEnergy is not limited to funding; it also covers such areas as marketing, business strategies supported by expert guidance secured through more than 300 network partners and ensuring an open innovation ecosystem. Traditional branches of European industry, investing continuously in cutting-edge technologies will also have their representatives at the Congress. Sanjay Samaddar, President of the Management Board and CEO of ArcelorMittal Europe - Flat Products, business division east, might have started his career by working in the aluminium sector, but he's been active in the steel industry for 15 years, 13 of which he has spent in the Polish structures of ArcelorMittal. He's voiced his opinions on the competitiveness of the European iron and steel industry in the context of policy and environmental protection requirements many times before. His position will also be important from the perspective of other energy-consuming production sectors. Another guest of the Congress, Marietje Schaake, Member of the European Parliament, specializes in international matters, human rights and migration. The tenth anniversary edition of the Congress will also host a large representation from African countries including Rwanda, Uganda, Kenya and Nigeria. One of the guests who confirmed their appearance is John Musinguzi, an advisor to the Ugandan President. Fred Hutchinson, President of LNG Allies - a non-profit organisation supporting the American administration - will also be in Katowice. In his activities, he combines the qualifications and competences of a lawyer, entrepreneur, communication expert and journalist specializing in the fields of energy and natural resources with experience gained as a public and private sector advisor. His perspective on the gas market and the prospects for transatlantic cooperation in this sector may prove very interesting considering the hopes invested by Poland and Europe in American gas. Other Congress guests include: Ian Brzezinski, an American foreign policy and military affairs expert, Deputy Assistant Secretary of Defense for Europe and NATO Policy under George W. Bush; Miguel Arias Cañete, EU Commissioner for Climate Action and Energy; Eckart von Klaeden, a former close aide to Angela Merkel, serving in the years 2009-2013 as Minister of State at the German Chancellery and currently Head of the External Affairs at Daimler AG; Cecilia Malmström, EU Commissioner for Trade; Justina Mutale, a social leader and activist, and a public personality who has inspired and motivated numerous undertakings related to the perceptions and prospects of the social and economic development of Africa and the African diaspora in the world; Jorgos Papandreu, Greek Prime Minister in the years 2009-2011; Iveta Radičová, Slovakian Prime Minister in the years 2010-2012, the first woman to occupy this office in the history of the Poland's southern neighbour; Dominique Ristori, Director-General for Energy in the European Commission since 1978; Herman Van Rompuy, first President of the European Council and former Belgian Prime Minister; and Alexander Stubb, former Prime Minister of Finland (2014-2015), Finnish Minister of Finance and negotiator in the EU, and current Vice-President of the European Investment Bank. The Congress will also be attended by representatives of the Polish government and administration and managers of the largest Polish companies who will co-host the event with its organizers. The Polish government will be represented in the key Congress debates by: Jarosław Gowin, Deputy Prime Minister, Minister of Science and Higher Education; Henryk Kowalczyk, Minister of Environment and Krzysztof Tchórzewski, Minister of Energy. Contributors to this year's Congress will also include: Michał Kurtyka, Undersecretary of State in the Ministry of Energy; Marek Magierowski, Undersecretary of State for Economic Diplomacy, America, Asia, Africa and Middle East Policy in the Ministry of Foreign Affairs; Grzegorz Tobiszowski, Secretary of State in the Ministry of Energy and the government's representative for the restructuring of bituminous coal mining; and Tadeusz Kościński, Undersecretary in the Ministry of Entrepreneurship and Technology. PGNiG and PGE Polska Grupa Energetyczna, Polish companies operating in the energy and fuels sector will be represented by their Presidents - Piotr Woźniak and Henryk Baranowski. The large private business sector will be represented by: Dariusz Blocher, President of the Management Board of Budimex; Tomasz Domogała, Chairman of the Supervisory Board of TDJ SA; Maciej Dyjas, Managing Partner, Griffin RE; Otto Preiss, Chief Operating Officer Digital, ABB; and Maciej Witucki, President of the Management Board of Work Service. The Polish financial sector will be represented by Presidents of the Management Boards of the following organisations: Brunon Bartkiewicz, ING Bank Śląski; Beata Daszyńska-Muzyczka, Bank Gospodarstwa Krajowego; Krzysztof Kalicki, Deutsche Bank Polska; and Iwona Sroka, Member of the Supervisory Board of Skarbiec TFI. Jerzy Buzek, Member of the European Parliament and its President in the years 2009-2012, serving as Polish Prime Minister in the years 1997-2001, has been at the head of the Congress programme council since its first edition. Professor Buzek's experience as a European politician will be a great asset during the key debates of the Congress, especially those dedicated to the future of the European Union, new technologies or the European Energy market. This year marks the first time the EEC is organised in a metropolis - the honour of hosting the event will be taken by Kazimierz Karolczak, President of the Metropolitan Association of Upper Silesia and Zagłębie Basin and Marcin Krupa, Mayor of Katowice. Together with other representatives of local government, they will participate in sessions focusing on metropolitan areas, investments, urban space and public transport. Organised for the third time, the European Start-up Days will be an event accompanying the 10th edition of the European Economic Congress; a space for an open dialogue between start-ups, investors and business support organisations. Authors of innovative and compelling business ideas will get the chance to present their start-ups before the EEC audiences, taking part in the Start-up Challenge. The premises of the International Congress Centre in Katowice and the Spodek Sports and Entertainment Arena directly linked with it will be the venues for discussions, meetings, presentations and exchange of opinions. 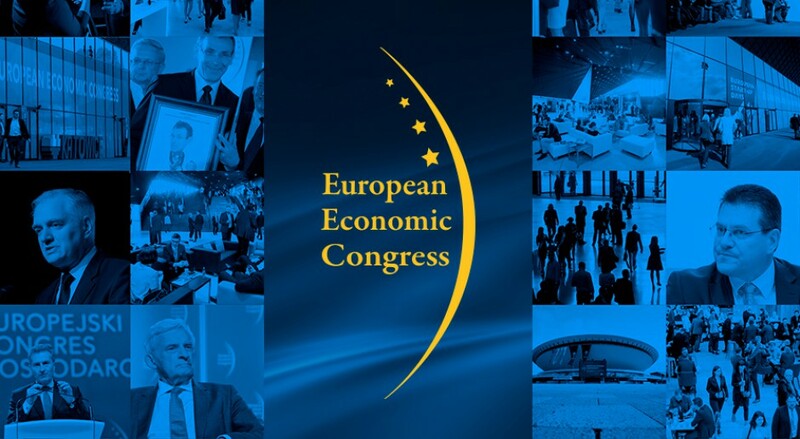 EEC - Leaders of Tomorrow, a project the purpose of which is to create and promote a proactive citizenship attitude and to increase engagement of young persons in public life will also be continued by the organisers of the European Economic Congress in Katowice. As companion events to the EEC, there will also be Central Europe-Africa, India-Poland and ASEAN-European Union Economic Fora, as well as economic panels dedicated to the economic relations between Europe and Japan, Poland and China, Germany, USA and West Bengal. During a gala evening accompanying the EEC, the best practices and investment success stories will be recognized under the Top Municipal Investments competition. Short-listed as part of this year's seventh edition of the competition are not only classical municipal projects but also environment-friendly anti-smog projects and smart cities investments. Foreign investors in Poland and Polish businesses conquering foreign markets will, in turn, be honoured in the Investors without Borders competition. Everyone who would like to attend the sessions, debates and meeting at the biggest business conference in Central Europe, is asked to complete the enrolment form available on the website. The basic participation is free.